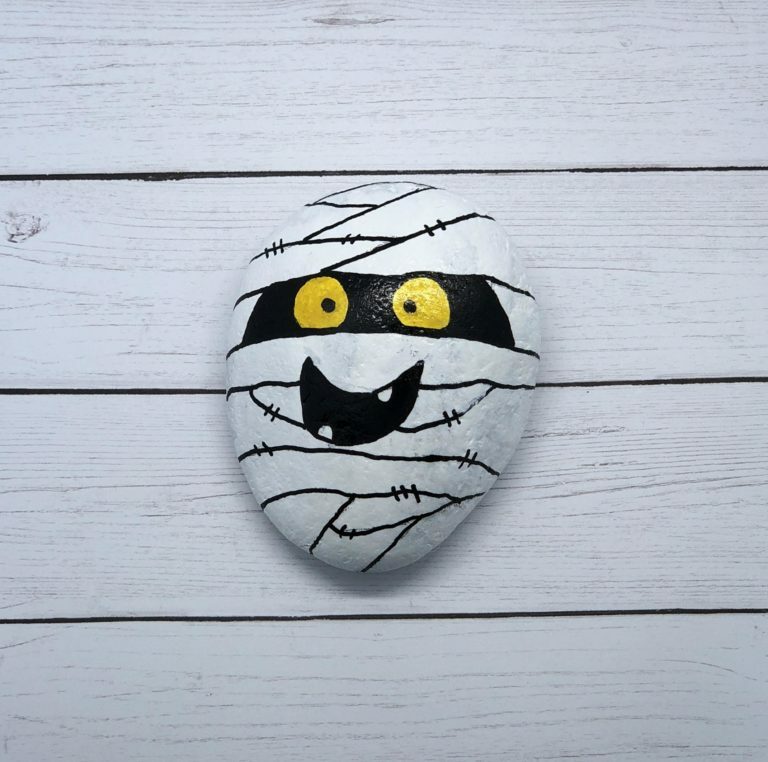 Make this super simple mummy rock painting for your Halloween Painted Rock Collection. 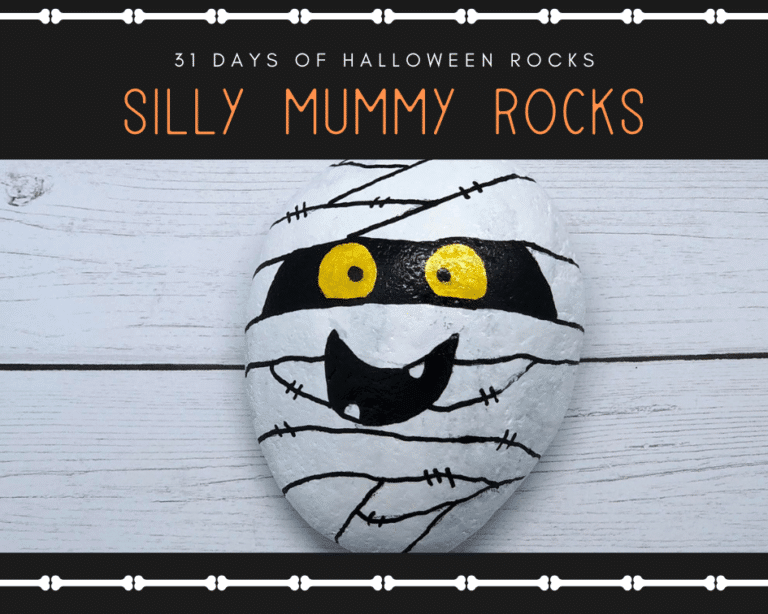 This spooky Halloween rock craft is a part of another post called, 31 Days of Halloween Rocks, check it out for more boo-tiful rock painting ideas. Begin by painting a base coat of white on the rock and let it dry. Using a black paint pen, draw 2 lines across the eye line to mark off that area for the eyes later. Now simply draw lines at different angles across the rock for the bandages. Draw two eyes and then color in the areas in between the eyes with a black paint pen. Color the eyes with a yellow paint pen and add a black dot inside the eye area. Use the black paint pen to draw a mouth and fill in with black. Let the mummy dry completely before spraying the clear sealer on your rocks. 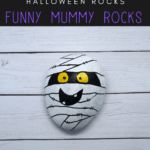 Have you made your own Mummy Halloween Rocks?